CS Garage Doors in Leeds selects electric doors and automation from established manufacturers Marantec and Carteck, with options for retrofitted automation. 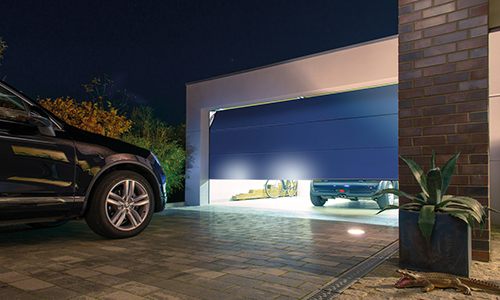 The CarTeck garage door drives developed by Teckentrup, feature durable mechanics, efficient motors and innovative controls. All systems are characterised by wear-free components and energy saving electronics. Drive systems are available to support all garage doors sizes, resulting in swift, smooth and reliable movement. Transmitter systems incorporating personalised technology means that your garage door system can be operated at the touch of a button, by bio-metric recognition or by a call or text from your mobile.